I remember when the pinnacle of video game graphics was a blocky Link staring up at the sun setting on a patchwork sky in Ocarina of Time, but we’ve come pretty damn far in the past two decades. You only need to look at Epic Game’s recent GDC showcase for proof on where we’re at now. 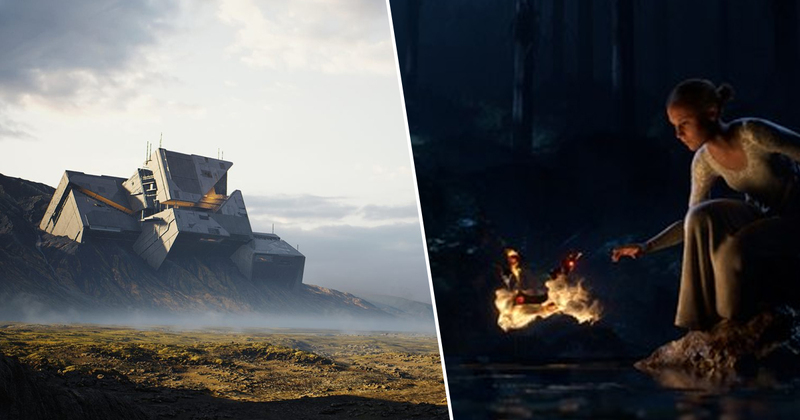 The company showed off a pair of genuinely stunning demos that were created using the the popular Unreal Engine, and while they were brief looks, it’s exciting to see how much closer to photorealistic graphics we are these days. The first demo is called Rebirth, and was designed by a studio called Quixel. It showcases an incredibly detailed barren terrain that’s pretty much indistinguishable from real life, save for a couple of moody sci-fi touches. Check it out below. Only a few years ago, a piece of work like this would have taken a huge team of artists months to create, but Epic says that only three artists worked on the short using an unmodified version of Unreal. In the trailer, a woman – played by Tomb Raider’s Alicia Vikander – is exploring a forest at night and playing with some mystical sprites, who decide to run off with her crown. The level of detail in the facial animations and lighting is truly remarkable, and I’m definitely intrigued enough to check out the entire movie, which has apparently been in development for a few months. Sadly, the project doesn’t have a release date just yet. With Unreal Engine continuing to push the limits of what developers thought possible, I’m more excited than ever for the next generation of video games to arrive.